We are looking for volunteer groups to impact the lives of our neighbors in Rancho Cordova. Volunteer days are free for church and school groups, and require no special training! 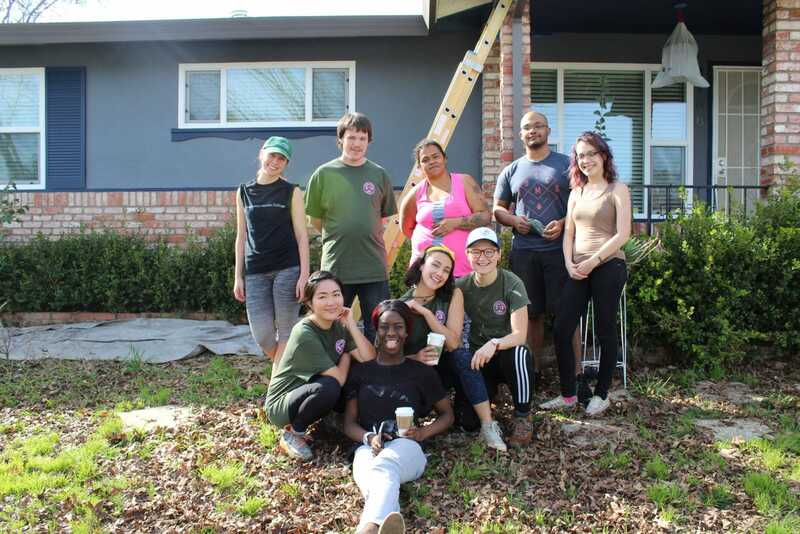 We are looking for local businesses to sponsor a Day of Service in Rancho Cordova. Project coordination, lunch, materials, and tools provided, all skill levels welcome! SSP is working with the City of Rancho Cordova for the fourth year to provide home repair and improvement projects to local residents. 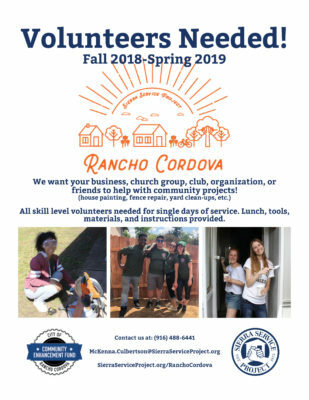 The Rancho Cordova Neighborhood Beautification Program is designed for volunteers to spend anywhere from a half day to a fulle week working on projects. Any group, organization, club, or business are welcome to serve! Types of projects include building and repairing wood fences, painting homes, removing chain link fencing, and doing yard clean ups. The goals of this program are to enhance the quality of life of the city’s residents, to beautify neighborhoods, and increase community pride. Contact McKenna Culbertson, Program Manager, with any questions at 916-488-6441. Apply for home repair services! 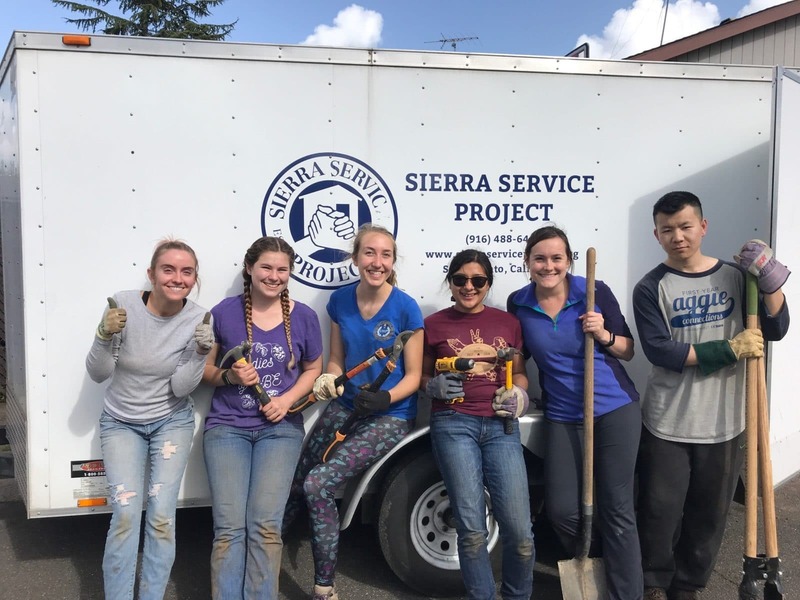 The Rancho Cordova Neighborhood Beautification Program is provided by Sierra Service Project (SSP) and supported by the Measure H Community Enhancement Fund from the City of Rancho Cordova. SSP is a local 501(c)(3) nonprofit committed to strengthening communities through service to others.